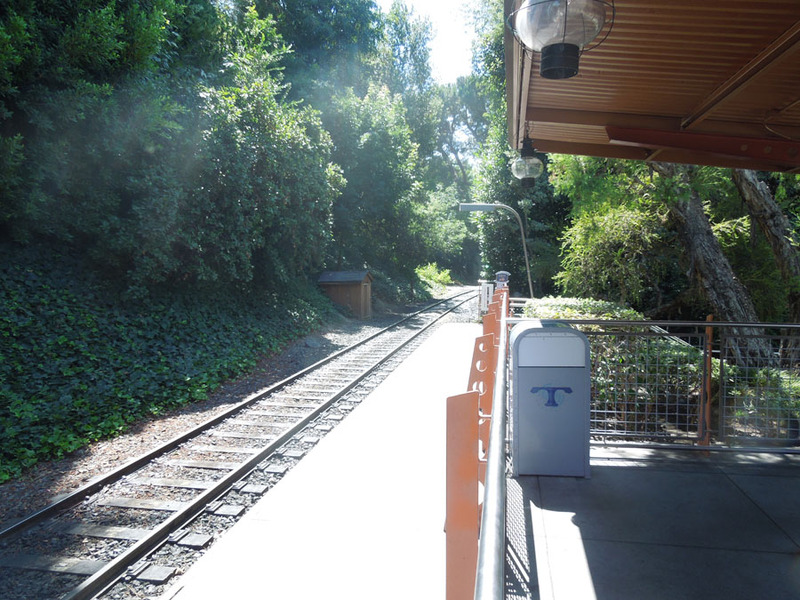 There are four train stations in Disneyland. 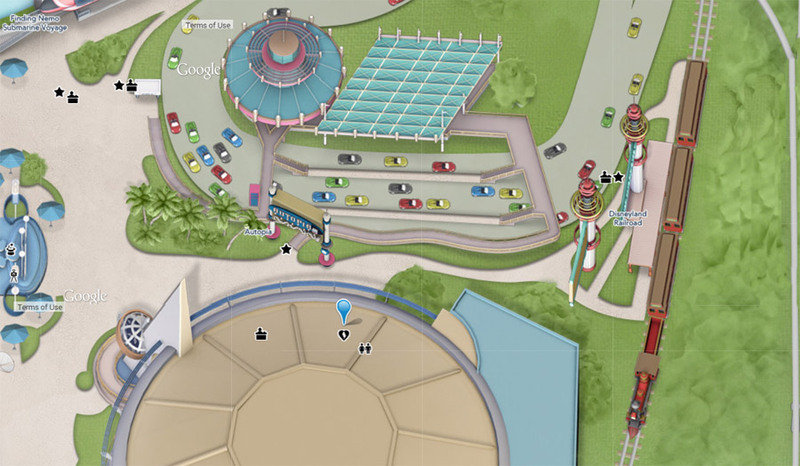 The one in Tomorrowland is on the extreme eastern edge of Disneyland. 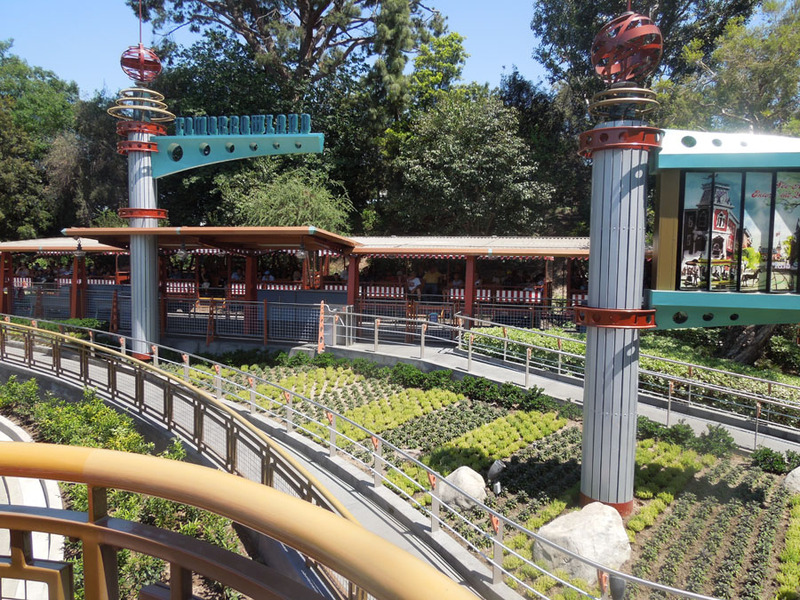 In this photo you can see a bunch of the edible plants in Tomorrowland, growing in rows like crops. 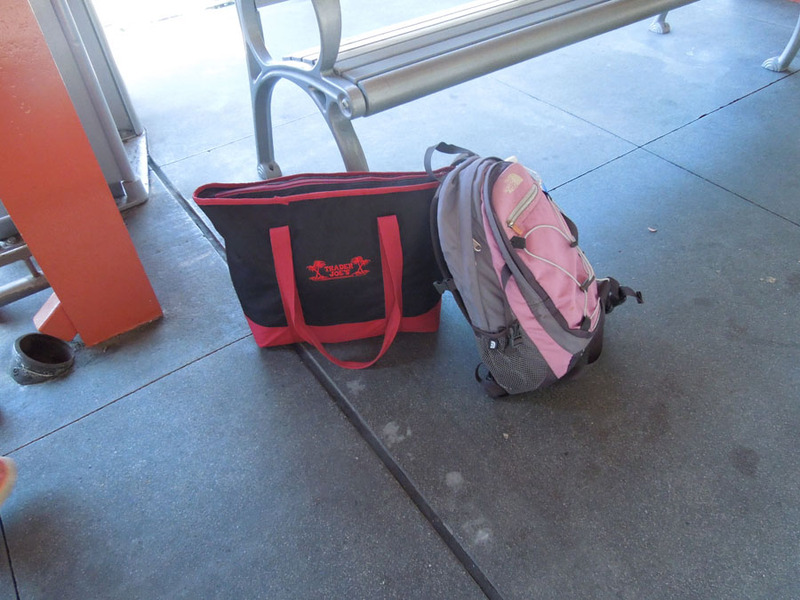 If you show up when there isn't a train in the station, it is kind of peaceful. This photo captures the slick rain gutter system emptying into a pipe. Looking south down the tracks. 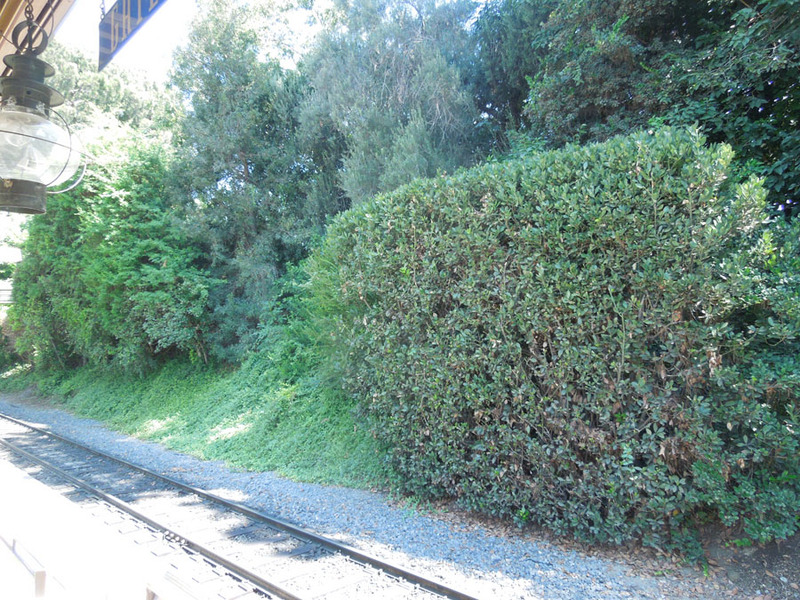 To the left is a very thick green border to Disneyland park. 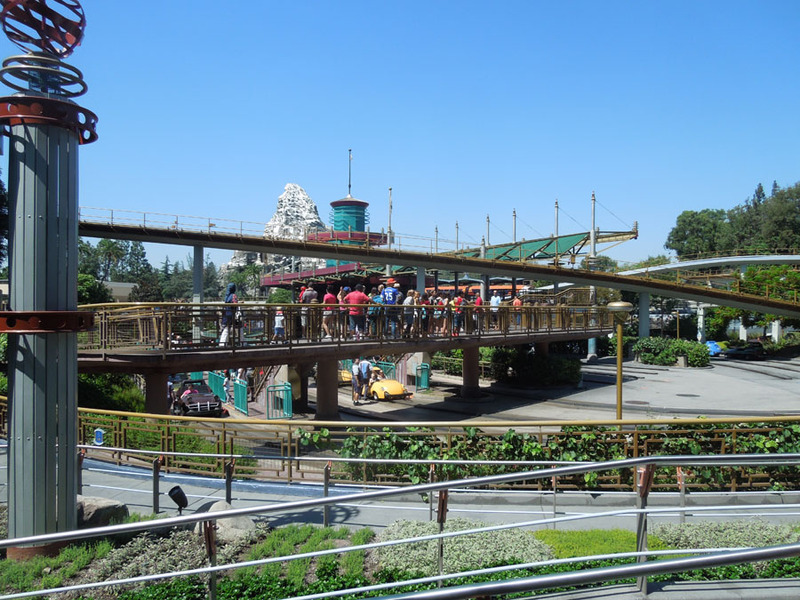 Sitting at the train station, this is the view of Autopia. 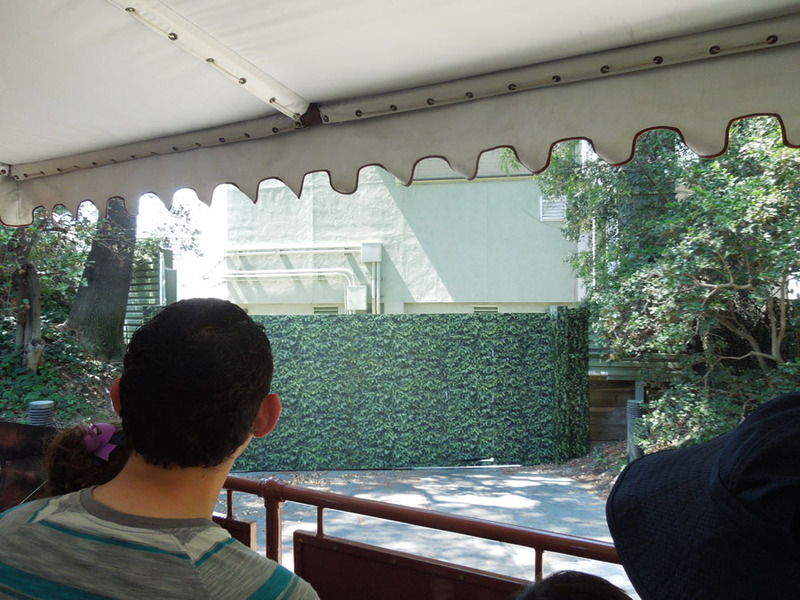 To escape Disneyland, you just have to climb this green mountain. 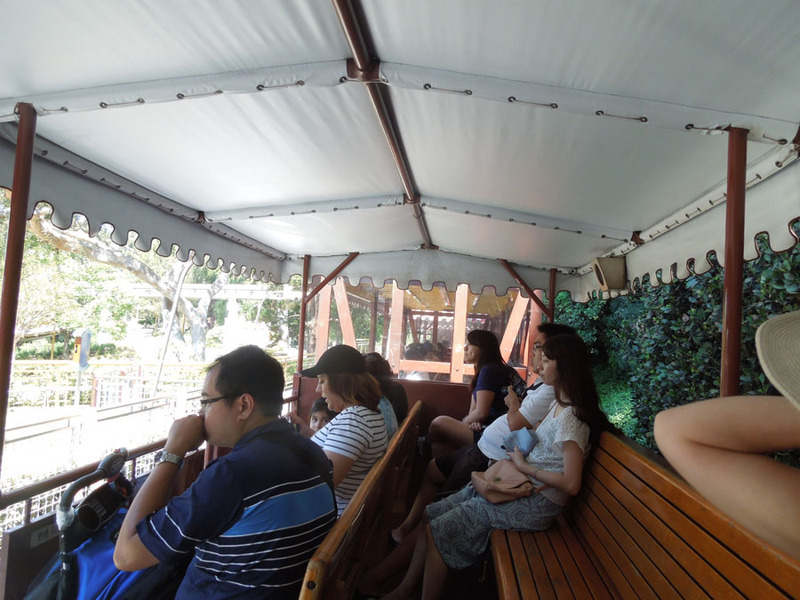 The seats in the train all face one direction, towards the center of the park.